Shawn Harris is an artist and a musician who got his start doing record and poster art for his own band, Matches, in 2003. He has gone on to illustrate for popular musicians including Adele, Snoop Dogg, and 311. 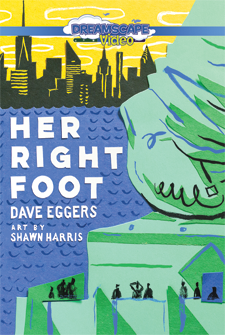 His first picture book, Her Right Foot, received six starred reviews. He currently resides in the Mojave Desert of California.